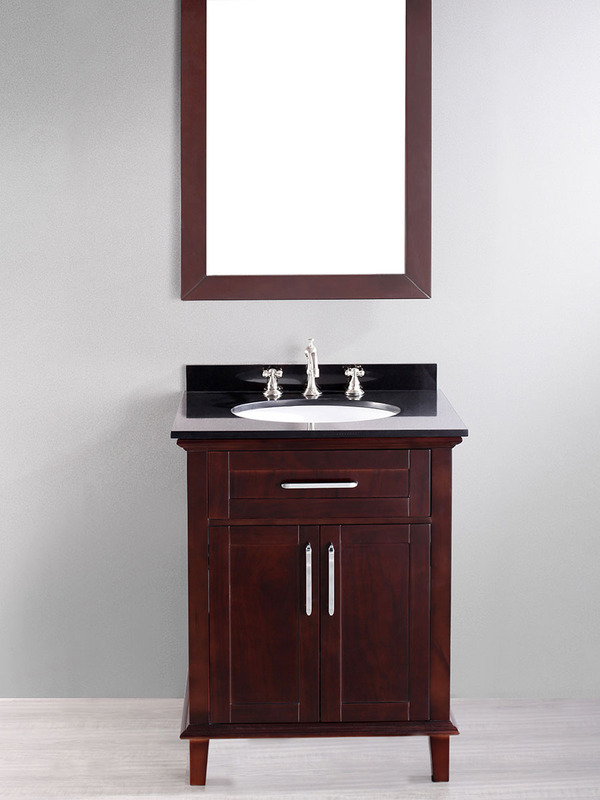 Add a touch of warmth to your bathroom with the 26" Isabela Single Bath Vanity. 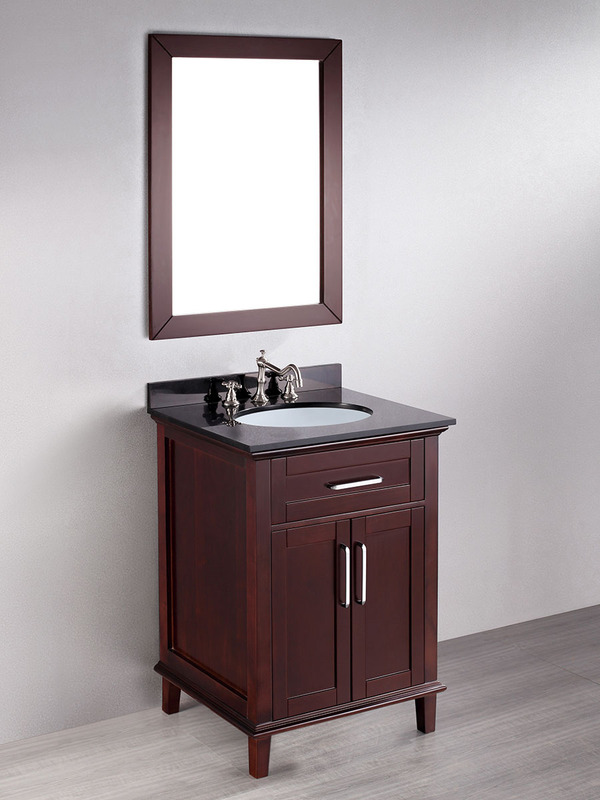 Its warm Dark Espresso finish makes an attractive addition to any bathroom, and when combined with its double-door cabinet and Black Granite top, it'll quickly become the focal point. 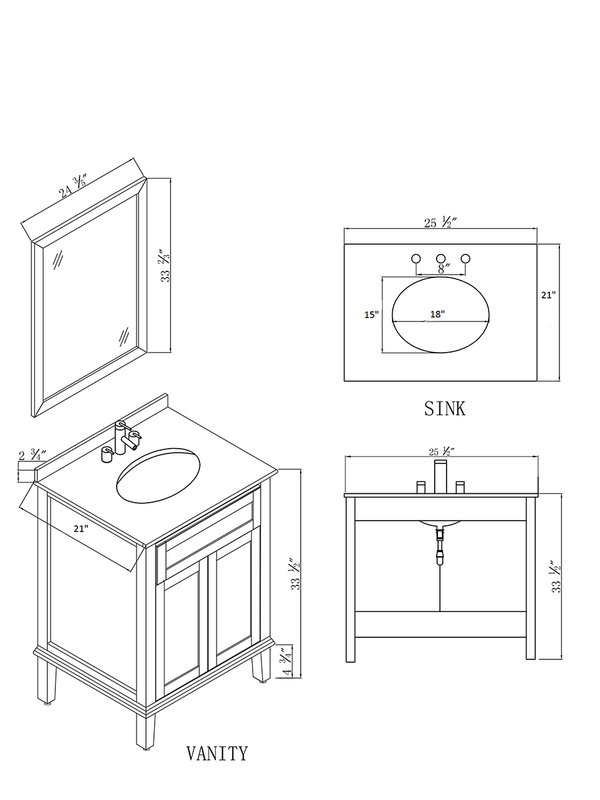 Silver accents adorn each cabinet door and the faux drawer underneath the sink. The Isabela also comes with a matching mirror for additional function.